Renewable sources account for 25 percent of new electrical generation | West Coast Solar, Inc.
Growth in the U.S. renewable energy infrastructure accounted for 25 percent of new electrical generating capacity for the first six months of 2013, according to a report by the Federal Regulatory Energy Commission’s Office of Energy Products. The paper’s authors stated that 2,144 megawatts of renewable capacity was added, accounting for nearly a quarter of the total 8,601 MW installed. One of the most promising aspects of the report is that solar energy made up 45 percent of the new renewable sources of electricity. 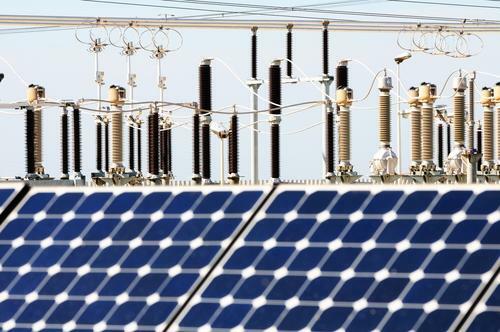 Nine hundred sixty-nine MW were installed in the first half of the year, representing a 3.7 percent increase over 2012. More solar energy has come online in 2013 than oil (26 MW) and nuclear (0 MW). Furthermore, the combined new capacity of renewable energy production was more than that of coal power (1,579 MW). The growth of the solar energy industry has been fueled in part by generous subsidies and incentives provided by local, state and federal governments. Because of these programs, renewable sources (including wind, hydropower and biomass) make up 16 percent of the total electrical production in the United States. This is good news for those who are enthusiastic about clean technology and Bay Area solar power. The widespread integration of these sources into the U.S. electrical grid ensures stabler utility costs, cleaner air and decreased reliance on foreign sources of fossil fuels. If you’re interested in how your home or business can benefit from solar energy, contact West Coast Solar today. We can walk you through all the steps of going solar, including leasing and financing options that make it more affordable.